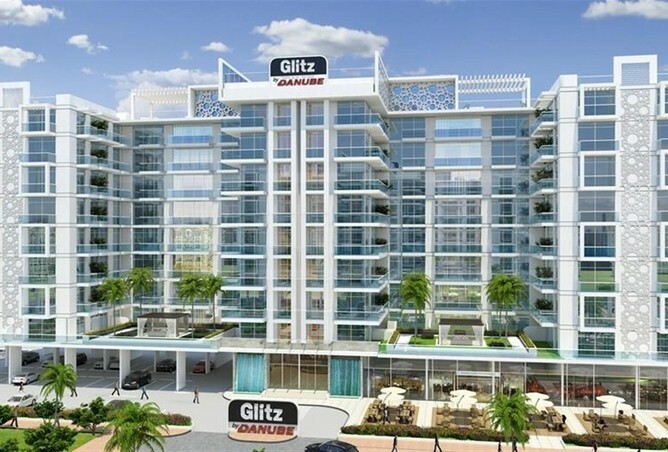 The recent delivery of Danube Properties’ Glitz 3 residential project marked a new milestone for the company. The final look of the residential complex, says Atif Rahman, the firm’s director and partner, was a well-guarded secret until the day it was unveiled. From the outset, Glitz 3’s manicured landscaping and clean exteriors were indeed impressive, especially for one that’s marketed as affordable housing. With two more projects up for completion this year, Rahman talks about his expanding role as the company transitions from just developing real estate to now also managing its own residential properties. How does it feel that you’ve now completed a number of projects? It’s the ultimate feeling for any developer. It’s not just about launching great projects, it’s not just how well we have been able to sell it. Our real report card is how well we have been able to deliver these projects, and I think what the industry and the consumers really liked is the speed in which we have been able to deliver these projects and the volume of upgrades that we have been able to achieve. How can a budget-conscious customer justify buying a home in Glitz 3? Let’s take a one-bedroom apartment. The average price was Dh830,000 and you’ve seen how great they look, the space planning, the finishing, the size of the kitchen, the extra powder room, the laundry room, and it creates enough space for a family of three or four. If you look at outside the property, the common areas, the landscaping, the water feature, the two party halls, the two entrance lobbies, the sitting areas, the two swimming pools, the health club, the basketball court, the tennis court, the kid’s play area — they make a huge impact and translate into a beautiful asset. Now, with the 1 per cent per month payment plan, it enables you to pay only half the money until the handover. So you pay only Dh415,000 when you get position. For the equity that they’ve invested in the property, it is impossible to achieve [all this]. Then you just continue paying 1 per cent per month until another four years after handover. Or you can get a mortgage. I would want to believe that any bank would love to mortgage this property. What has been the feedback so far, including from buyers of Glitz 1 and 2? Honestly, right now they’re saying that they should have waited for Glitz 3. That is a Danube promise: we always try to make the latest project delivery better than the previous one. The buyers are really happy with the amenities, the finishing, the space, the grandeur of the entrance lobby, the common areas — it’s beautiful. Are buyers mainly end users or are there investors? It’s a mix. I would say 60-65 per cent of our customers are end users, and the rest are the long-term investors. How do you define the mid-income market? I would say Dh20,000 or between Dh25,000 and Dh35,000 is the typical mid-income segment based on the current cost inflation index. And also, [buyers from this income bracket] need a little bit of savings. You need to have the money for the down payment. That’s very important. What makes Glitz 3 a luxury project and affordable at the same time? The price at which you buy the asset in this building makes it affordable. In terms of the aspects which makes it luxurious, there are many. Start from the location, which is the most important aspect of any asset. Dubai Studio City I think is one of the most fantastic locations on the Umm Suqeim road. It’s a beautiful community with a straight-line design — easy in, easy out. Inside the project, look at the expanse of landscaping, the sculptures, the lighting, the water features, then go inside the entrance lobby, the sitting areas, the swimming pool, everything is for sure going to create a sense of luxury. Many developers are joining the affordable housing bandwagon. Is there pressure from increased competition? Not at all. I think the more the merrier is the rule. More competition pushes you to deliver something better. Mid-income housing is the backbone of the economy, that’s where the volume is. So there’s huge appetite in that segment. The affordable housing segment is one of the most interesting ones. Buyers don’t have that extra Dh100,000 or Dh200,000 to waste. So you’ve got to be spot-on in terms of design, space planning, amenities, everything. Has VAT changed the sentiment of homebuyers? There’s no doubt that in the long term it would have a little bit of impact on the cost of construction, thereby impacting the price of property. It’s early days to say, but until now we have not felt any impact on the business from VAT. How many units have you sold and how many are still available? All the projects, Glitz 1, 2, 3, Starz, Glamz, they’ve been 100 per cent sold out. So if there’s any apartment that will become available, it would be through any default, and we don’t expect that much because buyers are largely end users and long-term investors. And I don’t have high-volume purchasers. When you talk about other projects, I have eight or 10 apartments available in Resortz and Miraclez, about 20 in Bayz. And Jewelz, our latest launch, we have just crossed 70 per cent sales.